After a decade-long gap, the European bank is returning to financing new projects in Uzbekistan. Five months after the European Bank for Reconstruction and Development (EBRD) signaled it was preparing to return to working actively with Uzbekistan after a decade, the bank has approved its first new projects for the country, with several more in various stages of approval. On October 18, the EBRD’s board of directors approved a financing package of up to $100 million to the National Bank for Foreign Economic Activity of the Republic of Uzbekistan (aka the National Bank of Uzbekistan, NBU) to enable the bank to increase the availability of funding to private micro, small, and medium-sized enterprises (MSME) and enable the NBU to support import and export operations via a trade facilitation program (TFP). After more than a decade absence from Uzbekistan, the EBRD moved to reengage earlier this year, encouraged by the change in tone that came with a change in leadership in Tashkent. A delegation visited the country in February, paving the way for EBRD President Suma Chakrabarti to make a momentous three-day visit to Uzbekistan in March. That portfolio is set to grow. Looking at the EBRD website, the gap in engagement is stark. The last project completed in Uzbekistan was in late 2007, a $5 million loan to Hamkor Bank. After a decade gap, there are now five projects whose documents have been posted. As of October 19, one is board approved (the $100 million financing package outlined above); two more have passed final review and are pending board approval; two more project concepts have been posted. The two pending projects are aimed at the agribusiness and manufacturing sectors. One, for $10 million, is to finance the construction of a warehouse facility in Samarkand for Agromir Juice, a juice and vegetable paste producer based in Uzbekistan. The second project pending board approval is for $17.6 million to support the construction of a new generics pharmaceutical production facility. $11.2 million of the financing package will come from the EBRD and $6.4 from the project’s sponsor, Jurabek Laboratories, Uzbekistan’s largest pharmaceutical manufacturer and owner of the borrower, Mutabar Medical Standart LLC. At the conclusion of his visit to Uzbekistan, EBRD President Chakrabarti signed an agreement with Uzbek authorities to explore ways to increase the bank’s investment activities in the the country. These projects are the fruit of that visit. 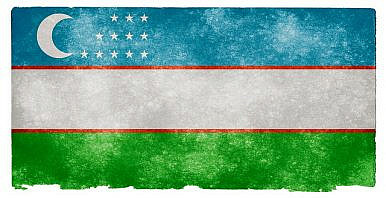 After a decade, the EBRD may be returning to Uzbekistan – riding optimism that a new regime can chart a new course.